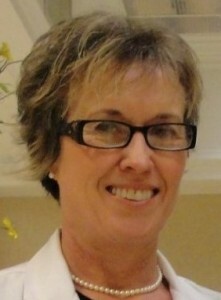 Dr. Sharon Vincent is a Clinical Assistant Professor at the University of North Carolina at Charlotte, with Doctorate of Nursing Practice degree from the University of Southern Mississippi. She serves as Project Director and Principal Investigator for Crossing Borders: Making Connections HRSA Nursing Workforce Diversity grant. She teaches FNP Family Health, BSN Health Assessment and Preceptorship. Her program of research centers on evaluating depression and quality of life outcomes with improving self-management and adherence strategies of heart failure patients. Her current collaborative research on palliation in heart failure is with a local hospital. Dr. Vincent’s publications include a book chapter on role development of the professional nurse, capstone scholarly project on perceptions of heart failure patients, and heart failure symptom recognition article. She was awarded a Doctor of Nursing Practice Award on completion of her DNP degree. Dr. Vincent is passionate about application of evidence to clinical practice. She serves on local, regional and national organizations, including American Association of Heart Failure Nurses, Southern Nursing Research Society, and Phi Kappa Phi. She peer reviews for Journal of Peri-Anesthesia Nursing and American Nurse Today. BSN, University of New Mexico; MSN, University of Southern Mississippi; DNP Doctorate of Nursing Practice, University of Southern Mississippi. FNP Family Health, BSN Health Assessment, Preceptorship, serves on DNP Committees. Cardiac–heart failure, palliative care initiative in Heart Failure Transition Clinic setting; focus on adherence, self-management, quality of life. The PI work for HRSA grant focuses on empowering students of diverse cultures to succeed, and is funded $979,953 over a three-year period. Executive Board, Secretary, member, Phi Kappa Phi national honor society. Work with NC AHEC program (North Carolina Area Health Education Center) as PI of HRSA NWD grant. The HRSA grant enables BSN nursing students to work with middle and high school AHEC students who are interested in health careers. Member, American Heart Association–Circle of Red/Go Red for Women. American Association Heart Failure Nurses, member. Southern Nursing Research Society, member, Research in Clinical Settings Research Interest Group. Awarded Doctor of Nursing Practice Award in recognition of scholarship, leadership, and citizenship, 2012, University Southern Mississippi. Inclusion in Who’s Who in America, Marquis Who’s Who, 2015. Vincent, S., & Mutsch, K. (2015). Exploration of Self-Care Following Distribution of Acute Management Tool for Elder Heart Failure Patients in Clinic Setting. Clinical Scholars Review Volume 8, Number 2, Springer Publishing Company. Vincent, S. (2016). Chapter Title: The Healthcare Delivery System and the Role of the Professional Nurse (4th Ed.). In Masters, K. (Ed. ), Role Development in Professional Nursing Practice. Jones & Bartlett, Sudbury, Massachusetts.